During the period of its greatest splendor, Selinunte was inhabited mainly on plateau of Manuzza, in the northern part of the acropolis, occupied for the vast majority of buildings of a public nature. 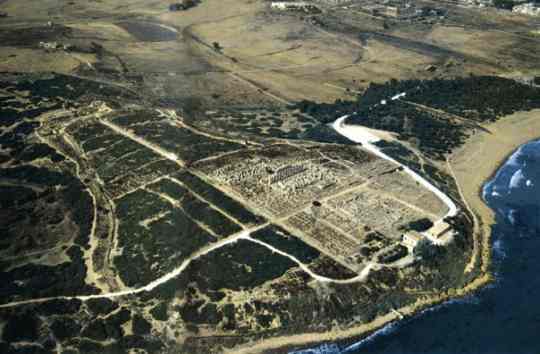 Through studies and excavations can be carried out with precision two periods of historical and architectural 'acropolis of Selinunte: the oldest, the greek, dating from the seventh to fifth century BC, the next one Punic dating back to IV - III cent. BC Nell'acropoli of selinunte coexist therefore remains of buildings Greek and Punic. 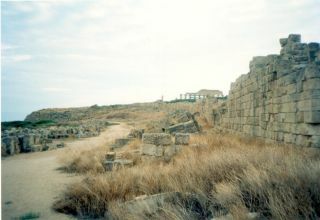 The historic architecture of Selinunte is the destruction of the city by the Carthaginians in 409 BC, given that contraddistinse in the net next physiognomy of 'Acropolis. The acropolis of Selinunte spread with a regular distribution, a system of roads oriented in the east-west cross the great north-south artery. 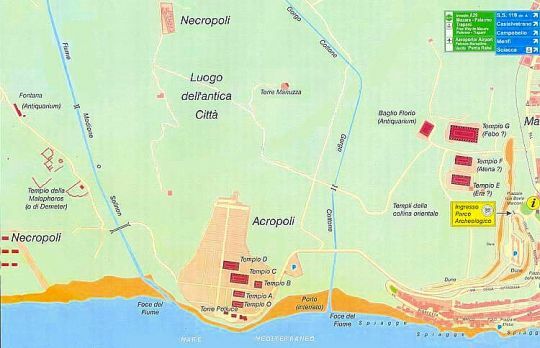 The southern part of the acropolis, since the foundation (altars and sacred enclosures prior to the Temple C), is not prepared according to this plan orthogonal (which will influence the orientation of the temples of Selinunte), it was a vast area sacred named "the city of the gods"; after the area was settled by the Punic homes, built with technical fabrics. The houses of the period Punic make more difficult the historical reconstruction of the area, they in fact overlap with the remains of sacred buildings. However, despite the existence in the place of private dwellings, it seems there continue to perform religious rites in Punic era. 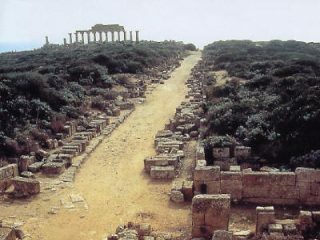 Trivia: south of Temple C is the so-called "Mégaron", one of the oldest temples in the city of Selinunte. Among the buildings dell'acropoli of Selinunte, the temples are distinguished among all for their proportions and harmony of architectural forms. They were built in a time that oscillates between the first half of the sixth century and first half of the fifth century BC, except for a small temple whose construction dates back to the Hellenistic. 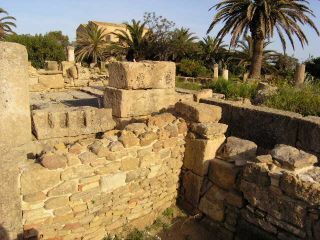 The temples of Selinunte are usually marked with letters, being uncertain the allocation of individual temples to various gods and rituals dedicated to them. Several are the temples in the area of 'acropolis of Selinunte, among them over to the superb and ancient Temple C (the principal) which dominates the hill dell'acropoli are: Temple O (the one to the south), Temple A (just north of the temple O), D Temple (immediately north of the temple C), Temple B (erected on a small off to the side of the Temple C) is considered Hellenistic age, finally have the Mégaron (probably the oldest among the sacred buildings) and the Temple of small Metopes (where they were found six metopes limestone small compared to those of Temple C). In acropoli of Selinunte, another very important aspect to visit and study are the fortifications, which shows much of the city. The remains of fortifications visible hours do not coincide with the original wall structure. The mighty wall that embraces most of 'acropolis of Selinunte was built on the provision urban oldest, fortifications follow the evolution of the land until natural shrinkage connecting the hill to the plateau of Manuzza, here concludes the route of the barrier wall straight, in whose centre, on the great north-south artery, opens the so-called North Port, the main access point to the city of Selinunte. The techniques with which they were built surrounding walls, for long stretches, through the reuse of blocks from the square well remains of rich houses outside the wall are the symbol of a city devastated in its attitude, we think that they are been built immediately after the defeat of Selinunte by the Carthaginians in 409 BC, because the walls were wanted by Ermocrate in great haste.